Minnie is one happy mouse! Vibrantly colored statue stands about 8 1/4-inches tall. Minnie is one happy mouse! Designed by pop artist Romero Britto, Minnie Mouse comes to life in vibrant color, and her "diamond dusted" daisy will light up anyone's day. 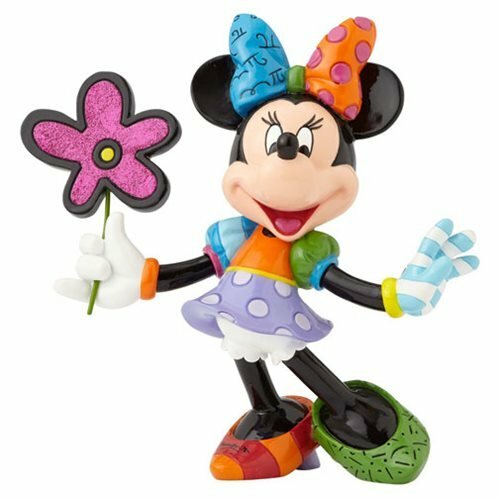 This adorable Disney Minnie Mouse with Flowers Statue by Romero Britto is made of stone resin and stands approximately 8 1/4-inches tall.